New research from comparethemarket.com suggests you could make massive savings by using LED bulbs rather than halogens. Is it time to make the switch? As the evenings grow darker, it could be a bright idea to switch from halogen light bulbs to LEDs to help save on your energy costs. Homes using LED bulbs pay around £146 each year to run them, whereas those sticking with halogen bulbs spend £378 – according to new research from comparethemarket.com. This means you could save a whopping £232 a year by making the switch to LEDs. The comparison is based on 20 bulbs – either 60W halogen or 11W LED (equivalent brightness to a 60W halogen bulb) – all switched on for an average of five hours a day. 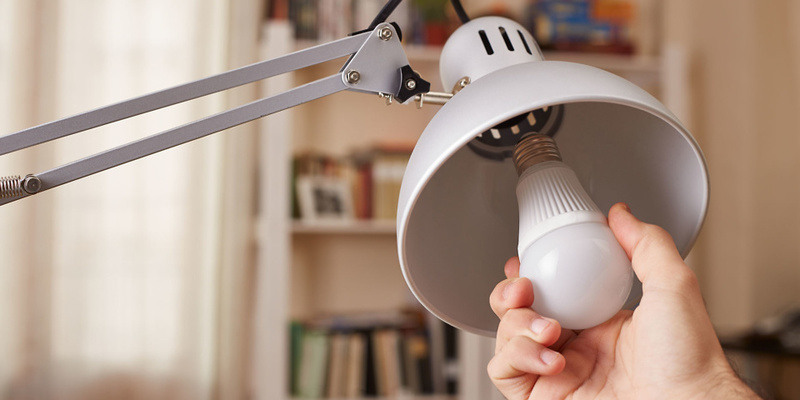 The real saving on running costs you would make by replacing all your halogens with LEDs would, of course, depend on the number of light bulbs in your home, how long they’re switched on for – and your energy deal. If you’re planning an upgrade to LED, check out our light bulb reviews to see which bulbs outshone the competition. Are you reluctant to make the switch? Despite the energy and cost savings to be made, some are still reluctant to ditch traditional light bulbs and usher an army of new LED bulbs into their home. Is one of the common reasons listed below holding you back? Read on as we tackle some widespread misconceptions and bust some myths. Although 53% of people realise that LEDs can save them money, almost a third of people (32%) say that they are too expensive to buy in the first place, according to the comparethemarket.com survey. While it’s true that you are likely to pay more upfront for LED bulbs, they’re getting cheaper each year as the market grows and matures. The average price of 60W-equivalent LED bulbs in this year’s tests has fallen by more than £2 compared with last year. You can pick up our latest Best Buys for as little as £4. Besides, the greater initial expense will be made back in energy savings – and LED bulbs generally last much longer than halogens, so you’ll be buying replacements much less frequently. When we tested the durability of LEDs, we found that 80% of them lasted for at least 15,000 hours. That’s equivalent to two hours of use a day for 20 years, and far longer than the lifespan of a halogen bulb. Over a fifth of people surveyed (22%) said they couldn’t afford a full refit of their home and didn’t want bulbs that give out a different sort of light. There is no need to replace all your bulbs at once. 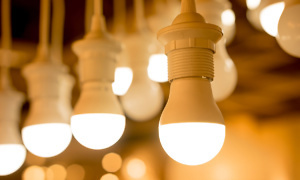 Bulbs can be replaced in stages, starting with your most-used light fittings. You may want to prioritise your energy-hungry kitchen or living room spotlights, or lights that are often on, such as in hallways. It’s also a good idea to look out for LED bulb multi-packs, especially on GU10 spotlights. Buying in bulk can help to bring down the cost per bulb and should also give you a more consistent light. Poor LEDs can give out light that is the wrong sort of colour compared to traditional bulbs, too blue or orange for example, but standards have improved in recent years. The best LED bulbs will give out a nice warm white light that is consistent across different bulbs. We test that LED bulbs give out the colour they claim to, and that they are consistent, in our independent lab. To find out which bulbs come out on top, see our list of Best Buy light bulbs. Clueless when it comes to changing light bulbs? 20% of people surveyed said they had few or no LEDs at home as they didn’t know how to fit the bulbs. But the good news is that most LED bulbs are retro-fit and so should easily go into your existing fittings. That said, it’s still worth checking the dimensions, because some older or high-brightness LED bulbs can be bigger than traditional bulbs, so may not fit your light fittings or shades. if you’re confused by which wattage or shape to pick, take a look at our top five tips for choosing the right light bulb. You may have heard on the grapevine that LEDs aren’t as bright as halogen bulbs. Indeed, 18% of people think LEDs are not bright enough, according to the comparethemarket.com survey. But this is a problem of the past. Early LEDs struggled to give out more than 40W of light, but the best modern LEDs give a bright, warm glow that’s almost identical to that of older bulbs. We have Best Buy LEDs whose light output is equivalent to 100W old-style bulbs – so you won’t be left in the dark if you make the switch. For the full low-down, check out our guide to LED light explained.